Last year, there were multiple attempts to reform the Medicaid program. While efforts at the federal level met resistance, multiple reform initiatives took place at the state level. These measures included legislation, program expansion, demonstration waivers, eligibility restrictions, and work requirements. Some of these changes have been adopted and successfully implemented while others are still awaiting approval. In 2019, it will be important to monitor the impact of these changes to understand how the Medicaid program will evolve. Despite the Trump administration’s failed attempts to repeal the ACA and reform Medicaid, states have sought to make reforms by using demonstration waivers. Section 1115 waivers give states the flexibility to pursue test coverage models and waive key provisions of federal law under the condition that the changes meet the objectives of the Medicaid program. On January 11, 2018, CMS issued new guidance for the Section 1115 waivers that allowed states to impose work requirements on their program’s beneficiaries. According to CMS, the decision was made to “support states helping Medicaid beneficiaries improve well-being and achieve self-sufficiency.” In addition to the revised eligibility requirements, states also began considering provisions such as time limits, lockout periods for unpaid premiums or untimely reporting, drug testing, and premiums. The guidance has been controversial among lawmakers and government officials. As of January 9th, the federal government has approved waivers from seven states. Arkansas and Indiana implemented their waivers last year. Michigan, Kentucky, Maine, Wisconsin, and New Hampshire have received approval and are implementing the changes in 2019. Arizona, Mississippi, Ohio, Oklahoma, South Dakota, Tennessee, Utah, and Virginia have submitted waivers but are awaiting decisions from CMS. 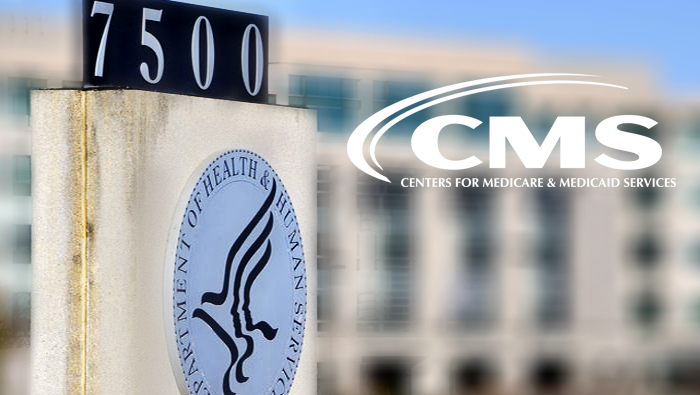 Since then, a revised demonstration waiver was resubmitted to CMS with minor technical changes that require Kentucky to submit implementation and monitoring protocols for the eligibility requirements. A six month lockout period for the failure to report a change in circumstances such as household income and hours worked. On November 20, 2018, Kentucky’s revised waiver was approved by CMS; however, health advocates argued that it was nearly identical to the original. Recently, the National Health Law Program, Kentucky Equal Justice Center, and the Southern Poverty Law Center joined together to file a lawsuit against the law. Kentucky is set to have the waiver implemented in April of this year but Governor Bevin is prepared to pull coverage if the waiver does not survive the lawsuit. Arkansas was the first state to implement its work requirement. It’s waiver required enrollees to report 80 hours of work or community engagement activities each month in order to be eligible for coverage. Just six months since the implementation 17,000 members have been disenrolled either because they did not comply or they had failed to receive an exemption. According to state officials, enrollees were not aware of the requirements or they misunderstood them. Additionally, people reported having difficulty getting enrolled and accessing support. States planning to implement similar waivers can learn from the uncoordinated implementation. It will be extremely important for states to effectively communicate their intended program changes to their communities. Currently, there is litigation challenging Arkansas’s waiver and the state has not received approval for its work requirement evaluation process. In states that had already expanded Medicaid under the ACA, studies have shown that the decision to do so has been economically beneficial; furthermore, it has also improved coverage, access to care, and service utilization. Due to the success, Medicaid expansion was a popular issue at the ballot box for voters in the midterm elections. After the polls closed, Washington D.C. and 37 states approved expansion of their Medicaid programs. Idaho, Nebraska, and Utah adopted expansion by way of ballot initiatives. Maine also passed a ballot initiative in 2017 but the governor at the time, Paul LePage (R), refused to implement calling it “fiscally irresponsible”. Fast-forward to this year, newly elected governor, Janet Mills (D) signed an executive order that began the expansion. In states such as Wisconsin and Kansas, Governor Tony Evers (D) and Governor Laura Kelly (D) ran on expansion and will now be working with lawmakers to pursue it. Aside from the 37 states that have expanded or are expanding in 2019, there are also developments in other parts of the country. Historically, Mississippi and Georgia have opposed Medicaid expansion but they may possibly consider the option this year. Montana attempted to continue funding for their Medicaid program with the I-185 ballot initiative. However, the effort failed to secure the necessary votes and the state is now in a similar situation to Alaska where expansion is in the hands of legislatures. Despite the nationwide momentum to expand Medicaid under the ACA, there has also been a recent effort in Texas that would overturn the law for the entire country. In December, U.S. District Judge Reed O’Connor ruled the ACA unconstitutional due to changes in federal tax law. While the court’s ruling could potentially dismantle the health-care law, appeals have been filed and it will not be addressed until it reaches the Supreme Court. Medicaid relies on risk-based managed care as the program’s primary delivery system. This year, states will be looking to utilize alternative delivery systems and payment models. These efforts will work to improve MCO’s while also addressing social determinants of health. States will seek to improve access to care within rural communities in 2019. Some of the mechanisms used to do this include: e-Consult, telehealth, telemonitoring, and telemedicine. In addition, there will most likely be increases in funding for primary care residency programs and providers in these communities, increased SUD services, and the incorporation of multi-payer models. Additionally, the reduction of skyrocketing prescription drug costs will certainly be another issue on the new year’s agenda. In order to reduce this spending, states will look to implement cost containment initiatives that will increase rebate opportunities and enact updated utilization controls. Lastly, states are also focused on LTSS issues and expanding coverage within community settings this year by extending provisions from existing support programs. Money Follows the Person (MFP) and Spousal Impoverishment are two programs being considered by Congress. MFP assists states in rebalancing their Medicaid long-term care systems. The Spousal Impoverishment provision dates back to 1988 and helps to protect the finances of elderly couples when utilizing nursing home care. CMS has also reached out to State Medicaid Directors in a November letter “to announce opportunities to design innovative service delivery systems including systems for providing community-based services for adults with a serious mental illness (SMI) or children with a serious emotional disturbance (SED) who are receiving medical assistance.” The invitation permits states to waive the federal IMD payment exclusion in order to improve care for beneficiaries. 2018 was a significant year for Medicaid, the largest public health care provider in the United States. A number of attempts were made to reform the program at the federal and state levels. Some of these efforts have proven to be beneficial while others have become controversial among legislatures and enrollees. In 2019, Medicaid expansion, Section 1115 waivers, and new payment and delivery models will be some of the key issues to monitor.